Manuel Monino was appointed as the lead of ESDN Public Health Committee. 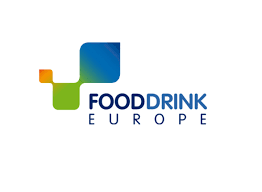 Two new members were appointed into the ESDN Obesity Committee. Warm welcome to Antonis Vlassopoulos (HDA) and Odysseas Androutsos (EDDE). Jacqueline Commandeur (NVD) was appointed as a member of ESDN Oncology Committee. EFAD extends a warm welcome to all the new volunteers. Calls for more ESDN committee members will be coming out soon. CGDN-E informed EFAD that on 9 November 2016 the Spanish Foundation of Dietitians-Nutritionists (FEDN) became the Spanish Academy of Nutrition and Dietetics Foundation, which from now on will be known as the Spanish Academy of Nutrition and Dietetics. This step ensures maximum scientific and academic recognition is given to the scientific disciplines of Human Nutrition and Dietetics in Spain. 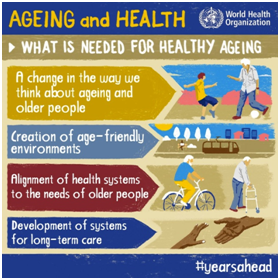 What is needed for healthy ageing? The D-ECCO Workshop provides the opportunity to reach and educate IBD dietitians and IBD nurses from across Europe. The course has been conceptualised by the Dietitians Working Group of ECCO and offers interactive discussions. Please register in advance, no onsite registration possible. Why not consider PEN as a member benefit to joining your dietetic association? PEN can be included as part of association membership*, providing members with quick online access to the most up-to-date, critically appraised evidence on more than 190 nutrition and dietetic-related topics all in one handy, easily searchable system. PEN users are provided with their own login and member area. If you would like more information, please contact Sammie Gill at the BDA. *Please note that PEN as part of association membership is different to that of a PEN site licence which is ideal for academic institutions/universities.